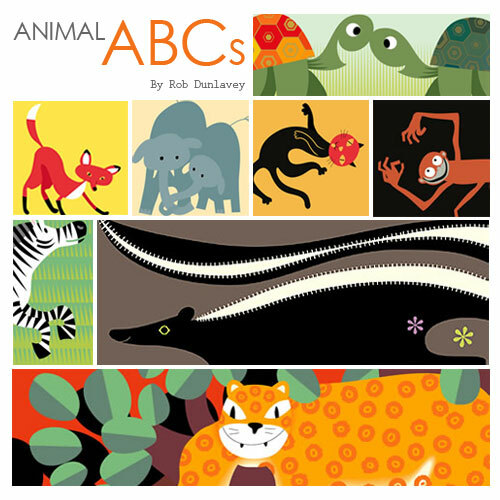 In celebration of the grand re-opening today of San Francisco’s very cool and very innovative California Academy of Sciences, we feature Rob Dunlavey’s animal ABCs series. Thank god we decided not to brave the crowds to go to the Academy of Sciences today, as about 25,000 people showed up. We will wait until the crowds die down, and in the meantime, we can get a great animal fix from Rob’s art work. To see more, please visit Rob Dunlavey's Animal ABC's. We were charmed by Rob Dunlavey's illustrative art in an earlier post. 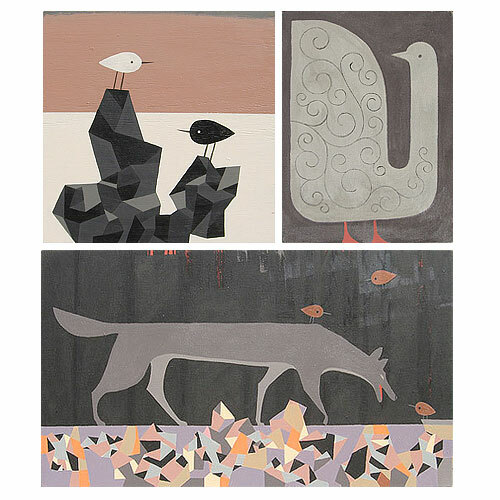 On a recent visit to his Web site, we were drawn to Rob’s simple but very idiosyncratic beasts. Shown above are three of the recent paintings from Rob Dunlavey, in latex paint on plywood panels and canvas. To see more, please visit Rob Dunlavey’s Web site. First Friday Art Walk, an event happening in downtown Santa Rosa, northern California is designed to showcase local artists. Throughout the Downtown Arts District, there will be visual arts, in-store displays of art, and street performers. 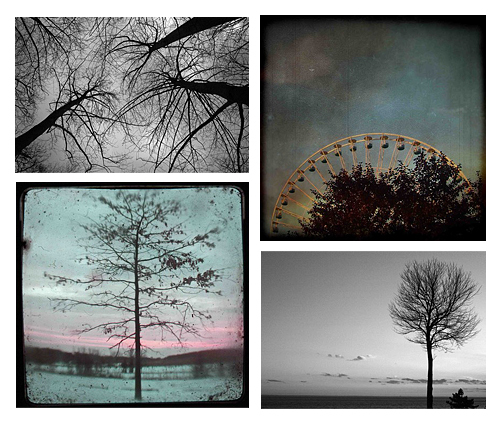 As we are attracted to trees, especially naked trees, the work of naturalist photographer, Barbra Ziemer caught our eye. Her focus on the pure simplicity of nature reminds us to seek out the tranquility in life. If you'd like to see more of Barbra's work, please visit her Etsy store. 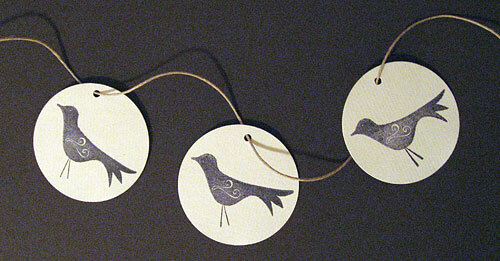 We found some simple note cards from A Punkin Card Company that we'd like to share with you. 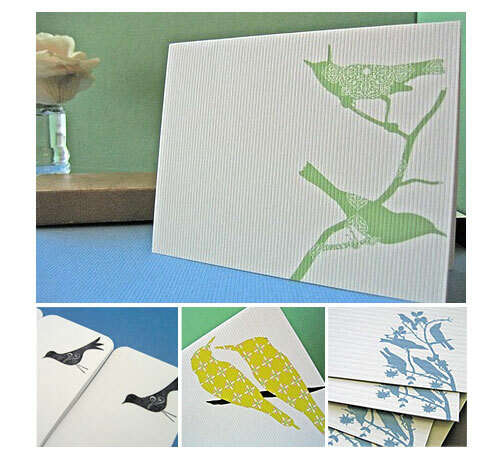 Besides the "birdy series" that we have collected in the above collage, there are many other charming, vintage-inspired note cards and gift tags that can be found online at A Punkin Card Company.